In 1930, rural kids in Ohio were in the first generation to grow up with 4-H Clubs, an organization that was rapidly expanding across the country. Teenagers Don Michael and Frances Caylor were among Montgomery County's 4-H members headed to camp that summer. Frances was happy to get a break from the crowded home where she lived with her aunt, uncle, father, grandfather siblings and cousins--12 in all. Her mother had died a few years earlier in childbirth. Fortunately, Don could give her a ride to camp. He was a farm boy through and through who loved mischief and tormenting his twin little sisters. 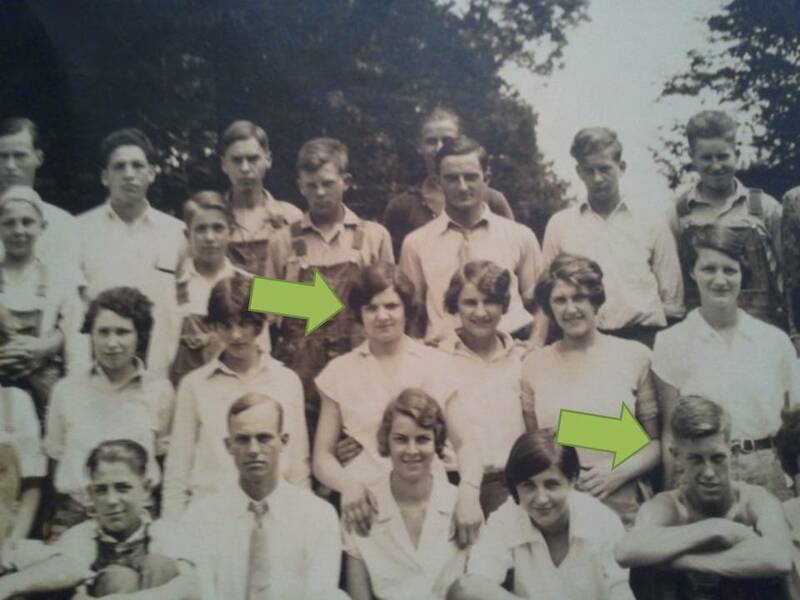 Frances (left) and Don (right) both loved 4-H and supported the Montgomery County Fair and 4-H programs for the rest of their lives. UPDATE: Oops. Don was misidentified in my earlier version. The photo above shows the right camper. Thankfully, they did NOT fall in love that summer. Or else Husband and I would be related. And that could be a problem. Frances was my grandmother and she shared this photo from 4-H camp and told the story of Husband's grandfather, Don, giving her a ride. Both our grandparents were very supportive of our years in 4-H and Grandma got to hear about how Ryan, Justin and Morgan were following in our footsteps; we know Husband's GrandDad would have been proud too. 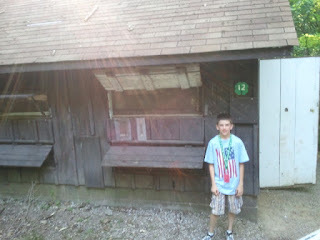 Last weekend we dropped Ryan off at the very same 4-H camp attended by both of his great-grandparents (and his aunt). Grandma (Frances) had been back about 20 years ago when my little sister was a camper and said then the place had changed very little. UPDATE: My Mom, (Ryan's Grandma) also attended camp! 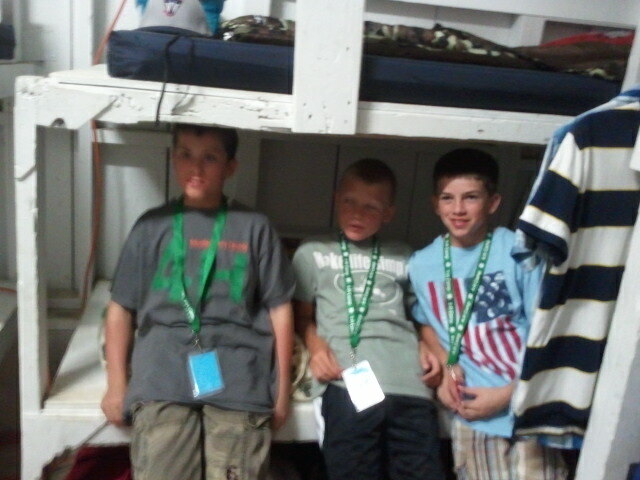 I like to think that 4-H tradition will continue in our family. 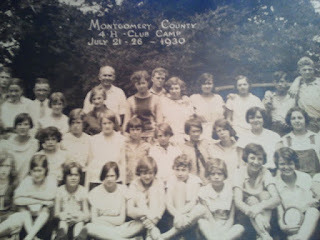 And who knows, maybe one of the young ladies at camp this year will be part of the next 80 years of family history.